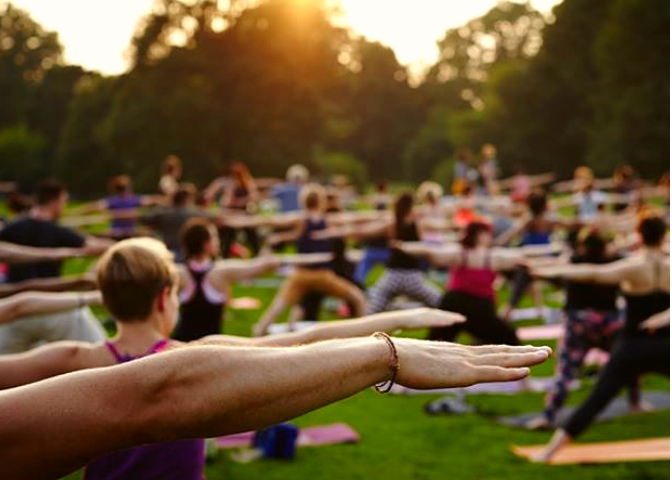 We are thrilled that Yoga in the Park is back again for 2019! 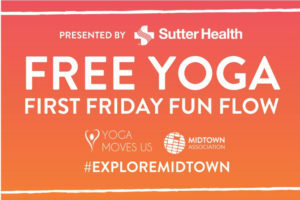 This summer yoga series is sponsored by Sutter Health in collaboration with Midtown Association, a free all-levels, music-themed, vinyasa-style yoga class will be offered on the grounds of Sutter’s Fort SHP on the first Friday of each month, April through September. Everyone is welcome. Give yourself permission to take rest when need to, modify as necessary, and show up as you are. Meet at the corner of 26th and L Streets. For more information, visit Midtown Association.